Welcome to BenQ HT2050 review 2018-2019.The best short throw projector for home-entertainment and gaming HD quality 2D and 3D videos. Buying a projector is one of the decisions that we may want to prioritise as it involves finances. When it comes to spending money on projectors, you have to look at something that will be of man value to you and your family like great images and sound system of the projector and many other factors involved. The BenQHT2050 projector has been designed to give the customers the best entertainment in 2D and 3D and great images at an affordable price that you will not regret purchasing. The projector has been improved from the previous versions. Some of the features that are making Benq HT2050 projector the best in the market is the short lag time best for gamers and also the great visuals that do not have rainbow effects. To give you more information on the BenQ HT2050 projector, here is the review of everything you need to know about BenQ HT 2050 projector 2019. Other projectors in the market are extremely expensive and still perform the same as BenQ HT2050A. With BenQ HT2050A, you are able to save up to 40% of the price of the expensive projectors and get to use BenQHT2050A that perform on the same function and at some point even better. The BenQ HT2050 projector could disappoint the users on some features but still, make up for it with other functions that are much better and satisfying. The BenQHT2050A has been redesigned from the previous version of BenQ HT3050, and HT4050 get rid of features that customers do not necessarily need. What the manufacturers tried to do is to listen to the customers and give them what are were looking for and remove what they did not like from the previous version. The projector has been designed to be more stylish in every way possible and to stand out among others. Though the BenQ HT2050 projector has been revised to be more stylish, it has maintained the same 1.3x zoom range and vertical lens shift that makes it possible to align the projector below or above the screen to achieve better viewing on the screen. The more significant case of the new design has been done so to reduce the noise and leakage o light. With the purchase of the BenQ HT2050, you are able to save up to $200 and excellent performance. It has two HDMI that is 1.4 a and not the one that is HDMI 2.0 that you have to feed it with Ultra content to have the best experience. When compared to other projectors, the BenQ HT2050 comes with a backlit remote that makes it easier to use in the dark. With the screen being in the right position, you are able to set the projector easily. The HT2050A has an affordable price of $750 for most of the retail shops and websites and comes with all the great features you need. Furthermore, the projector outperforms most of the great projectors on the market that are even more expensive. The award-winning DLP projector that has maintained its position in the market. What makes the projector more appealing is the fact that the manufacturers are trying to meet the customer’s suggestion and do the necessary changes to make the experiences of the users better. What makes them top the world is the reason that they are doing their best to give the best service to their customers and maintain a level of exceptional products. Getting BenQ HT2050 projector is the same as saving your money for something else. This makes it better than other products as the money you would have used to purchase must expensive projector, you would use for a new screen or save for other activities. Everyone wants something that is great and captivating in the eyes and that give exceptional performance. What makes something appealing to the eye is anything that brings out the best f the feelings in people and brightness too. When it comes to the selection of a projector, brightness is one of the most exceptional features that most of the people look for before buying. The BenQ HT2050A being one of the high-end home theatre projectors, it has lower light. The main reason for the lower light is to bring out better black levels for the exceptional performance and image that would be captivating to the user. It has a brightness of 2,200 lumens according to manufacturers. Though the projector is ideal for watching in a room of dark, it is not suitable for watching in an environment that has too much ambient light. With low lumens. The projector could experience artefacts and end up not showing the images well in a room that has too much light penetrating. In the same case, the projector still retains its resolution and contrast ratio, but some of the colors have been dimmed and lose its lustre. The brightness of the projector works well with all environment and even better in a darker environment. But to enjoy the quality of the images displayed on the projector, have your projection on a room that is a bit dark. The projector can easily be positioned higher or lower the screen and still get the right and perfect geometry without using a keystone control. If you intend to use the 3D with BenQ HT2050, you need to have the 3D glasses. This could be tricky to you since the BenQ HT2050 does not come with the 3D glasses when you purchase. When looking for a projector for a business presentation in a well-lit room, this projector may not be the best pleasure for you though if the room you are using for presentation can work well if the ambient light penetrating the room could be reduced. It has been designed with an inbuilt single DLP chip. Since HT2050 uses DLP design, it may show the rainbow effect and have different white brightness than brightness color that has a significant impact on the quality of the color and also the brightness of the images shown on the projector. What makes this projector to stand out is the fewer effects it shows on the projector than most of the DLP designed models. The image quality of the HT2050 is remarkable. The manufacturers paid attention to the quality of color, the details of the shadow levels, skin tones. When it comes to the noise reduction feature in the projector, it works great but still produces noise on some scenes on projection. Though this is an issue to be concerned to some customers, the HT2050 projector makes up for the limitation on different other areas. The resolution of the projector brings out the best of the images even in ambient light. Though the projector is perfect for home entertainment and has all those great features that you will love to have although the entertainment, it still comes with few rainbow artifacts. Though many people may find it bothersome, the rainbow effect here is few that you may not be able to see even as sensitive as you may be. This is due to the fact that passes so quickly and makes it unlikely to affect your viewing. On the other hand, you may be able to see the rainbow effect much more when viewing black and white videos. There is not much difference between the 2D and 3D as the 3D video is pretty much the same as that of 2D in almost all aspects that they share. When it comes to the handling of the 3D issue, the projector does it very well. Though the projector has 3D, it does not come with the 3D glasses, and you have to get the glasses yourself if you intend to use 3D. The HT2050A has been designed with the 10-watt speaker that makes it possible to deliver high audio quality when compared with projectors of the same value. The volume produced by the projector is enough for the entire home theater, and you may not find the need to buy a sound system for the same. Still, if you want to experience more sound and volume in the room, you can have an external sound system in the audio output since this will enable you to switch the audio when switching the image source automatically. The important thing with the inbuilt speaker is that you do not need to carry a separate speaker with them when moving to a different area. Since different people love the different degree of sound, many would choose to have an external sound system to enjoy even more of the projector, especially when in the room and want to listen to the music or what characters are saying. The projector also comes with a short time lag that makes it great for gamers. The images of the games are much faster and precise. The time lag of the projector is at 33milliseconds. When compared to other competitive projectors, the BenQ HT2050A outperform them when it comes to gaming making it great for gamers. Since most gamers love things that are captivating like images and sound, they will appreciate the features the benqht2050a projector comes with especially great sound and time lag. What makes it easier for gamers is the fact that whether the game is fast paced or slow paced, they can enjoy any game at any time at the rate they love. In consideration of the cost of the projector, there is no much to improve. The lens of the projector could be made much better. 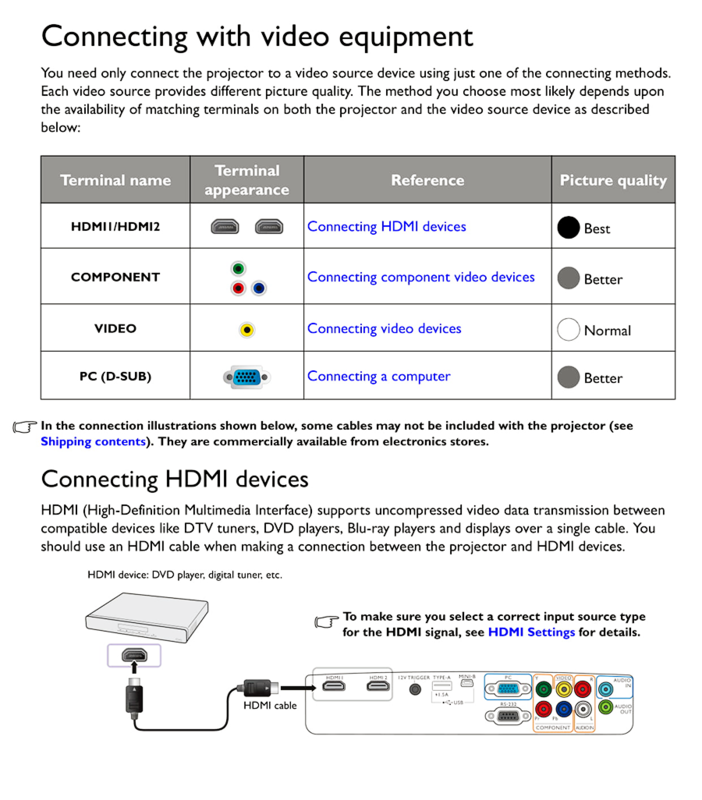 The connectivity of the projector to a signal could be better when syncing to HDMI. The manufacturers could improve on the brightness of the projector by making it possible to adjust the lens. 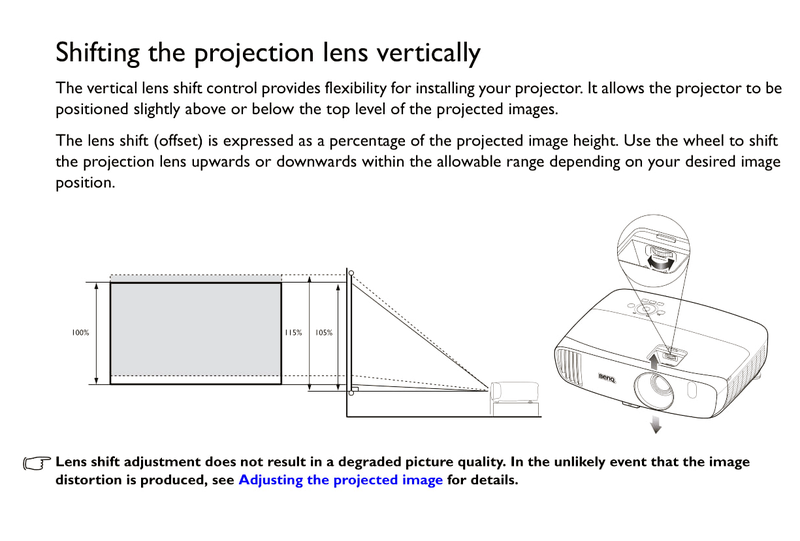 With the adjustment of the lens, it may be easier to control the amount of light produced by the projector. The technology used in the designing and manufacturing of the BenQ HT2050 projector makes it possible for optimisation of the images. The projector is able to balance the specific color effects for the different applications like movies, presentations, photographs and other Microsoft applications. The colorific technology used in the BenQ projector generate more than a billion colors by combining seven different colors to create life images that are vibrant and breathtaking. The images created from the billion colors are made to be accurate, crisp and long-lasting that the images do not change as the years go by as you continue to use. What makes a projector to be worth having is the quality of the visuals it offers you. The BenQ Ht2050 projector has been tested to prove this fact and ranked to be one of the best projectors 2019 for home entertainment under $1000. What makes it even better for the visuals is the level of the blacks it produces. These black colors were designed to bring out the best of other images making it more brilliant. With BenQ, HT2050 projector brings out the best of the black and white in the images from the start. When compared to other projectors that would wash out whites from the images, the HT2050 is able to show the brightest of the colors and retaining the same definition. What makes the HT2050 projector your choice is the way it reflects the skin tone and texture of what you see on the screen giving you a live feeling and exceptional images to enjoy in your games and movies. What most of the people want o see is a transparent texture of what they see on the screen to give them the best feeling and excitement. The ht2050 projector offers the best color adjustments when compared to other projectors of the same model. The projector has the excellent resolution of 1080 pixels that makes it deliver text that is crisp and graphics and some color is not affected with the ambient light in a room. It does not let you down when it comes to different kind of games from car racing, football and others at the time lag is great and incredible. When one could not see wrinkles and black spots on the actors in some movies, the ht2050 projector brings all out in details. The BenQ projector evokes different feelings with its amazing accurate life images like joy, romance, sorrow and others by giving the original images. The throw distance of the projector will determine the image size and brightness. The throe distance is shorter than the typical throw ratio that makes it possible to deliver bigger images even in spaces that are small. The BenQHT2050 projector needs to be set up carefully to have the best images to view. The BenQ HT 2050 projector has been designed to work well when mounted on the ceiling, mounted or table mounted. In order to avoid problems with viewing, avoid placing the projector where it will project at the heads of the people. Some positions may require you to tilt the projector into certain degrees that the projector may not meet with its keystone correction. Also, it is emergent to note that the projector should not be too behind from viewers as it will be too big for your viewing distance. For optimal screen illumination, install the projector on the ceiling and sit 1.3x distance enjoy your view. Most of the people prefer to use this position to have great entertainment and viewing. The projector comes with an inbuilt up throw angle that is designed to put the bottom edge of the image slightly higher than the centerline of the lens. With this feature, you are able to elevate the image up to 10% the height of the image using lens shift control. The lamp lie of the projector varies depending on the mode you are using. When using full power mode, you are going to have a lamp life of 3, 500 hours, economic mode 5000 hours and a lamp life of up to 7000 hours in SmartEco mode. The Economic mode is able to reduce the brightness of the projector up to 33% of the normal mode. The SmartEco mode in this projector has been designed to make the darker scenes darker and lower the consumption of power plus also extending the life of the lamp. The BenQHT2050A gives the best images in all the modes. When using the normal mode of the projector, the white level of the projector goes up to 197 units and black units of 1481 bringing out the contrast of the 1331.3.1. The throw distance and lamp mode does not affect the quality of the images as they still produce the same the same no matter the lamp mode you have adjusted. The lamp of the projector gives you enough time before you are able to replace the bulb of the projector. The more lamp life you have, the more you are able to use and enjoy the entertainment from the comfort of your home. The BenQ HT2050 projector makes it easier for you to set up and use in every aspect of its design. When you turn on the projector for the first time, it runs and gives you brief options of projections like if you are placing it on a table, ceiling or mo8nting it on the wall. You are able to select from the menus whether it is an advanced or basic menu. When you go for the advanced menu, you get the chance to have complete image set options. On the other hand, when you go for the basic menu, you are limited to the essentials like the mode of the picture. When it comes to selecting the picture mode that you are contented with, you have choices four different modes for you and also two user memories you can use. You also have a slot for 3D that you can adjust separately without any fuss. 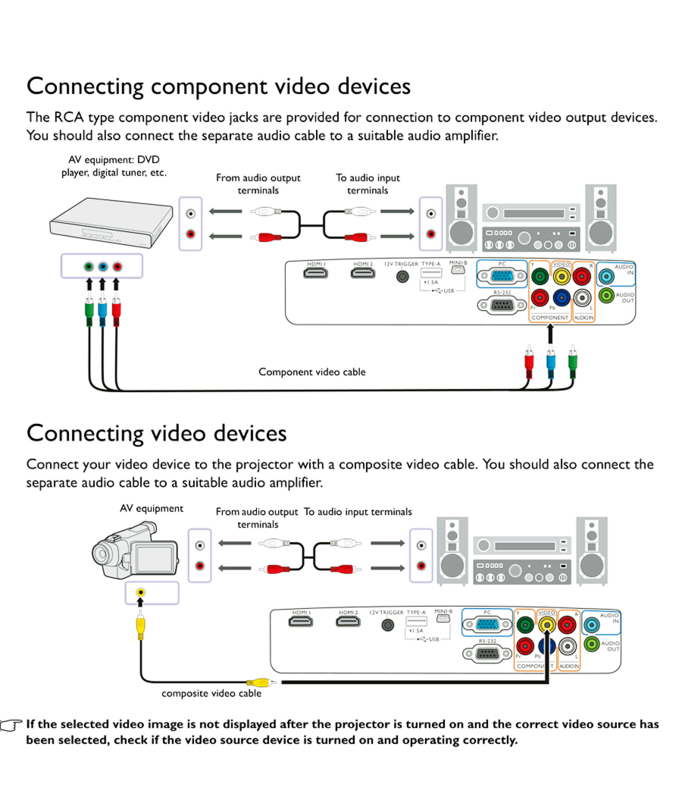 The accuracy of the home theatre can be set when selecting the type of mode you are going to use like the cinema mode for home theatre entertainment. The cinema mode offers accurate Rec.709 color with a D65 white point and 2.2 gamma. The 2.2 gamma setting has been made to deliver the best, and not much of adjustment is needed to make any change. This is also because the gamma comes with a presets ranging from 1.6-2.8 making it accurate. 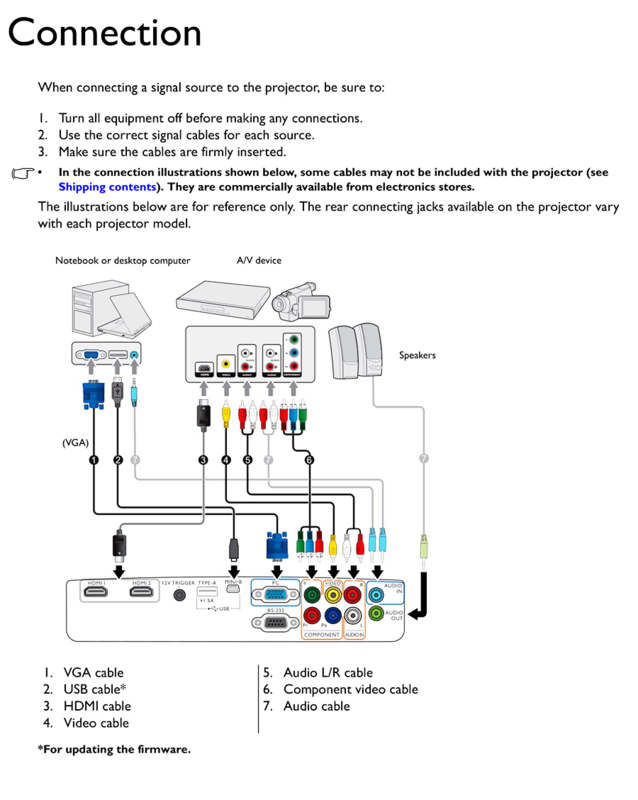 Benq user manual suggests the use of M4 screws to mount the projector on your desired position. In order to reach the mounting hole that the projector comes with, you may use the long or the short extension brackets. In case you were looking for something you were missing in other projector and didn’t know when to do the switch, this is the time to do so as the ht2050 has incredible factors that you do not want to miss. For its low price of less than $1000, you are able to get something unusual and great. The BenQ HT2050 projector is the best for home entertainment since it delivers the best and incredibly high quality in both 2D and 3D video. The gamers have a chance to play their games with high entertainment with its short lag time. Though the projector has a few rainbow artifacts when it comes to black and white is still the best for your home entertainment.